On December the 19th at a gallery in Ankara Turkey, Russian Ambassador Andrei Karlov was attending an exhibition entitled, From Kaliningrad to Kamchatka, from the eyes of travelers that featured photos from Russia's Baltic region to the Kamchatka Peninsula. He was giving a speech about his love of country when a young man, dressed in a suit and tie shot him from behind, killing him. The image above was taken at this event and it popped onto my computer screen when I went on The New York Times website and when I saw it, it made me gasp aloud. The image shows the true horror of this event but the image itself startled me more then just that reason alone. It made me think about ‘art’, not only because the setting is in a gallery but because of its composition and the affect that images have on art and within larger dialectic and philosophic thought. The image is not a reproduction, it is a photograph of an actual event. It is an actual body on the floor and the gunman is a real person, not a simulacrum. So why then does this image feel like ‘art’ in such a bizarre and knowing way? Some people have written poorly crafted responses to this image in relationship to art and art history but I think that there should be deeper evaluation. This image is evocative not just as a tool for comparing old masters or corporate Americana within art historic contexts in relationship to current events. Rather it can be used as an example of a larger meaning of how an ‘image’ functions and how that infers a larger condition within art and culture. An obvious starting point is to think about Walter Benjamin’s Art in the Age of Mechanical Reproduction (1936). This is still a cornerstone in how we think about art and the dissemination of the images. 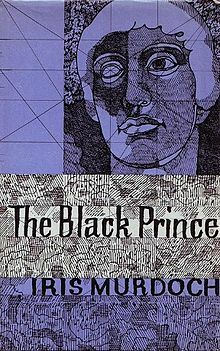 There is an unpublished second introduction to this book from 1935-36 that holds compelling overlaps to his larger concepts within that book and I will use it as a beginners text to talk about this image further. What makes this image so startling? One, the composition, two, the pristine clarity of focus and setting, three, the position of the viewer via the photographer. These three factors can be dissected excessively but for the sake of this format I will condense them. Essentially this image has all the elements of the postmodern image. It is a perfect sort of image in that it looks directed but it is not. It is everything that we expect of an image that is replaying this sort of scene but the fact that it is not a staged act but the actual makes the uncanny feel surreal. Surreal – this is the word of the year as declared by Mariam Webster Dictionary and this image gives another notch onto why that is so. Looking at this image is like an echo chamber of all the visual keys and knowledge that you have been trained to decipher. For people who are especially tuned into the act of critically looking and dissecting art, this image is even more unsettling because it is beyond cliché, it is real. That reality is unsettling because it both undermines yet confirms how overlapping farce and reality truly are. Without the lack of clear irony, the conditioned responses we are familiar with employing when faced with such an image dissipates, leaving us nothing to grasp firmly onto. Let's think about this in regards to Benjamin. He speaks about the idea of the authentic, “In even the most perfect reproduction, one thing is lacking: the here and now of the work of art – its unique existence in a particular place.” (21) He goes on to discuss how through the idea of reproduction the veracity of what is “authentic” is displaced as it is detached from the real aka place and time. This also links to his idea of the art object having an “aura” as he describes it, “What, then, is the aura? A strange tissue of space and time: the unique apparition of a distance, however near it may be.” (23) So, let’s think back to this image. This is set in real time and space and the dissemination of this image and the facts and the events surrounding it are located not in a distanced time or space but in a near immediacy. Yes, there are perhaps minutes to hours delays in the transmission of the facts surround the event/image but as soon as the image is shared it is concrete. The image acts as a fact in a deeper way and it flips the way Benjamin, in some ways, posits the idea of a reproduction. This image is not a reproduction but a form of evidence. But this image does not stay attached only to the contextualizing details of words. As soon as the words overcomes the image, the evidence that is the image can detach itself and have a second life as a form of a reproduction. “By replicating the work many times over, it substitutes a mass existence for a unique existence.” (22) This is why this image resonates with us because it is so familiar. It reminds us of other things we have seen reproduced in the form of art and images. This replication is collectively recognized and becomes a script for behavior for the fictional (movies, TV, art) and the actual. 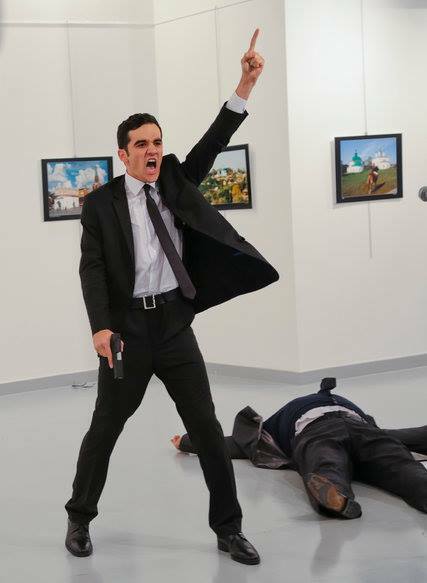 The young man who shot Karlov had a name, Meulut Mert Altintas. This hasn't been discussed much in the news because what mattered more were his image and his words. He was an off duty Turkish police officer and the quoted words he is said to have said were, “Don’t forget Aleppo! Don’t forget Syria!” These are the words that explain motivation. Before he shoots Karlov, there is a video showing Mert Altintas pensively standing behind Karlov in the gallery space. He is trim, young, clean-shaven, handsome and wearing a well fitting black suit, white shirt and slim black tie. He looks like he belongs there. Perhaps he is a bodyguard, perhaps he works for the gallery. He looks official yet unthreatening because he looks modern, calm, patient. There are other photographs and videos that reveal what happens but throughout, and this image as well, there is a sense of embodiment of character. He is an assassin. He knows he is going to shoot this man. He knows that he will have some time right after he does this to say words he means to say. He knows that he will die because of this. I am not implying that this act was done for the sake of performativity. Mert Altintas wanted to enact a form of justice that had impact and meaning for him. He killed a life and lost his own in exchange. These are real people. Real bodies. Real lives. But even in this violent act there is the requirement for the audience, the news, the photographer ready for the shot. Here is another name not being discussed much in the news, Burhan Ozbilici. He was the photographer that took this image and others surrounding this event. He is interviewed here and he talks about why he took these images. What is also unsettling to think about is the nature of the photographer’s role. In many reprints of this image the caption does not even mention his name but rather it simply says “AP” meaning Associated Press. This idea of authorship being owned not by the person photographing but property of a larger organization is also bizarre. This speaks back to the idea of the collective and how image, reproduction and the narratives of culture and history are constructed. “Just as the entire mode of existence of human collectives changes over long historical periods, so too does their mode of perception.”(23) Is taking images of assassinations, war, trauma, and death a monopoly of image hording and luck? Was Mert Altintas’ objectives made more potent and more ‘successful’ in his intentions because ‘AP’ photographer Ozbilici happened to pop into the gallery because it was on his way home? “The cameraman’s performance with the lens no more creates an artwork than a conductor’s with the baton; at most, it creates an artistic performance.” (29) Again, this is not saying both held these intentions but our understanding of these strategies makes the even unintended feel prescriptive. So, let’s look at this image again. It is fascinating because it is morbid. It is fascinating because it feels so fake but is so real. It is fascinating because we know it is reality but it feels surreal. Looking at this image makes the act of looking and the ways of thinking about how one perceives reality and perception via images feel like a mirrored upside-down world. We keep looping, looping, looping back into ourselves and we no longer know what began it all and where it will end. This very feeling of the gyroscopic is forcing us to freeze. Freeze from shock, freeze from nausea, but freeze nonetheless and hopefully it will make us who look and think about the meaning of art, images, violence and culture with even more criticality and analysis. For twenty-seven years, we Futurists have rebelled against the idea that war is anti-aesthetic…We therefore state…War is beautiful because- thanks to its gas masks, its terrifying megaphones, its flame throwers, and light tanks- it established man’s dominion over the subjugated machine. War is beautiful because it inaugurates the dreamed-of metallization of the human body. War is beautiful because it combines gunfire, barrages, cease-fires, scents, and the fragrance of petrification into a symphony. War is beautiful because it creates new architecture, like those armored tanks, geometric squadrons of aircraft, spirals of smoke from burning villages, and much more… Poets and artists of Futurism, remember these principles of an aesthetic of war, that they may illuminate…your struggles for a new poetry and a new sculpture! Think clearly and deeply my friends. The image is a powerful thing and so is art. The things we inherit are the things we become and repeat. Benjamin, Walter, The Work of Art in the Age of Its Technological Reproducibility, second version, in The Work of Art in the Age of Its Technological Reproducibility and Other Writings, trans. Jephcott, Edmund, Livingston, Rodney, Eailand, Howard, The Belknap Press of Harvard University Press, Cambridge Massachusetts, 2008. Thinking not possible today. Here are recipes instead. Share a meal with a friend this week if you can! Place the garlic cloves and 1/4 teaspoon salt in a mortar and pestle, and mash to a paste. Add the anchovy fillets and mash with the garlic. Set aside. Heat the olive oil over medium heat in a large, heavy soup pot or Dutch oven, and add the onion, celery and carrot with 1/2 teaspoon salt. Cook, stirring, until the onion is tender, about five minutes. Add the pureed garlic and anchovy. Cook, stirring, until the mixture is very fragrant, about one minute, and then add the tomatoes. Cook, stirring often, until the tomatoes have cooked down a bit and the mixture smells aromatic, about 10 to 15 minutes. Add the water, potatoes, salt (to taste) and the bouquet garni. Bring to a simmer. Turn the heat to low, cover partially and simmer 30 minutes. Taste, adjust salt and add pepper to taste. Remove the bouquet garni. Season the fish with salt and pepper, and stir into the soup. The soup should not be boiling. Simmer five to 10 minutes (depending on the thickness of the fillets) or just until it flakes easily when poked. Remove from the heat, stir in the parsley, taste once more, adjust seasonings and serve. Heat oven to 400 degrees. Put a grill pan over medium-high heat, or prepare a grill; the heat should be medium-high, and the rack about 4 inches from flame. Brush eggplant, zucchini and mushrooms lightly with half the oil and sprinkle with salt and pepper; if roasting, grease 2 baking sheets with oil. Roast or grill vegetables on both sides until soft. Coat bottom and sides of 8-inch springform pan with oil. Layer a third of the eggplant slices into bottom of the pan, then layer in half the zucchini, mushrooms, tomato, garlic and basil, sprinkling each layer with a bit of salt and pepper. Repeat layers until all vegetable are used. Press the top with a spatula or spoon to make the torte as compact as possible. Sprinkle top with Parmesan and bread crumbs, and drizzle with about 1 tablespoon oil. Bake torte in oven until hot throughout and browned on top, about 30 minutes. Let sit for 5 minutes before removing outer ring of pan, then let cool for another 10 minutes before cutting into wedges. Combine salt, garam masala, pepper and allspice in a small bowl. Rub mixture all over pork chops, covering their entire surface. Let chops rest for 15 to 30 minutes at room temperature, or up to 24 hours, covered, in the refrigerator. Add brandy to pan, let it simmer until the alcohol burns off (about 30 seconds), then add cherries, thyme and 2 tablespoons water. Let simmer for 1 minute. 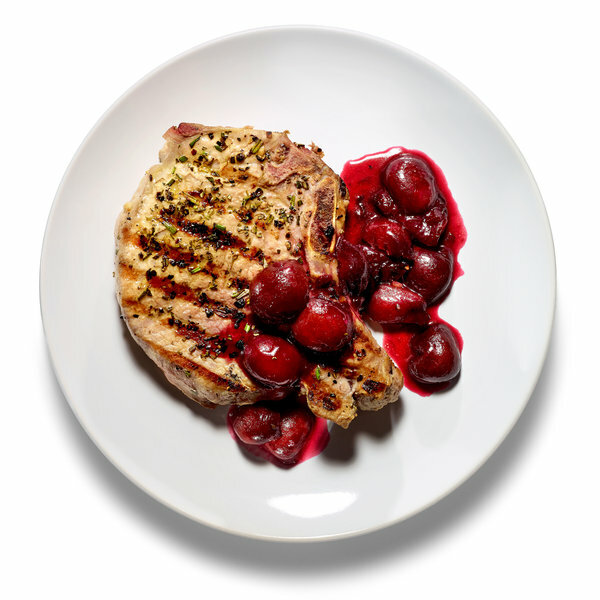 Move cherries to the sides of the pan and return pork chops to the center so they can make contact with the metal. Cover pan and cook over low heat for about 7 minutes, until meat reaches 130 to 135 degrees on an instant-read thermometer (its temperature will rise as it rests). Transfer the pork to a cutting board and let rest for 5 minutes. Meanwhile, add butter and vinegar or honey to the pan, stirring until butter melts and coats the cherries. Taste and add more honey or vinegar, and salt as needed. Serve pork with cherries and more thyme on top. Drain chickpeas. If you used dried, reserve cooking liquid; if they are canned, discard the liquid and rinse the chickpeas. Put 2 tablespoons oil in a large skillet over medium heat. When it’s hot, add bread crumbs, sprinkle with salt and pepper and cook, stirring frequently, until they’re crisp and toasted, 3 to 5 minutes. Remove from pan. Add the remaining 2 tablespoons oil to the skillet; increase heat to medium-high. When oil is hot, add garlic, olives, capers and anchovies. Cook, stirring occasionally, until fragrant, a minute or two. Add tomato paste and cook, stirring occasionally, until it darkens slightly, 2 to 3 minutes. Start adding spinach a handful at a time; keep stirring until all the spinach fits in the pan and starts to release its water; sprinkle with a little more pepper, then add the stock, chickpeas and red chile flakes if you’re using them. Adjust the heat so the mixture bubbles gently but steadily, then stir in the squid and the shrimp. Cook until the seafood is just cooked through, 2 to 3 minutes. Taste and adjust the seasoning. Divide among bowls, sprinkle with bread crumbs and serve.